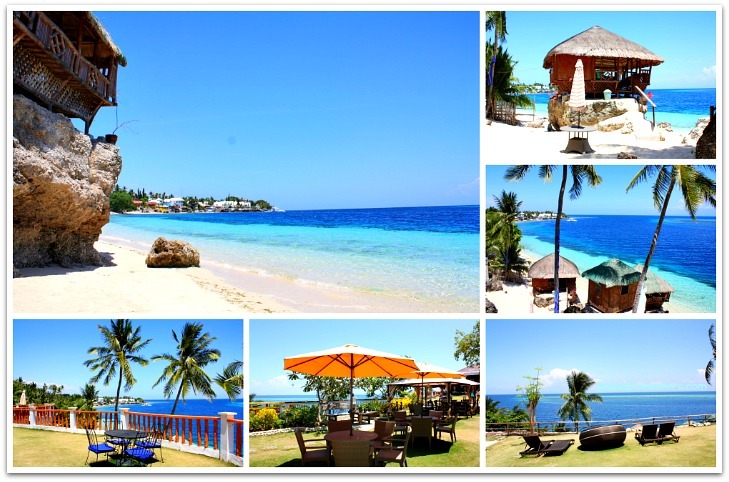 Let me show you around Cebu Province, an island in the central part of the Visayas and well-know for its amazing beaches. If you landed on this page, I'm sure this could help your search about the the provincial island can offer. This page offers you a rough Cebu travel guide to places and sites, beaches, hotels, structures and other business establishments on Cebu Province. Since we cannot provide you specific contents in this page, I suggest you use the links included here for a little bit more detailed descriptions or guides. For our foreign friends, you should know that there are many airports in the Philippines serving regular flights to various regions. There are about a hundred airports and airstrips available in the whole Philippine Islands. You may click here for airlines flying to and from Cebu to see some details regarding flights available. 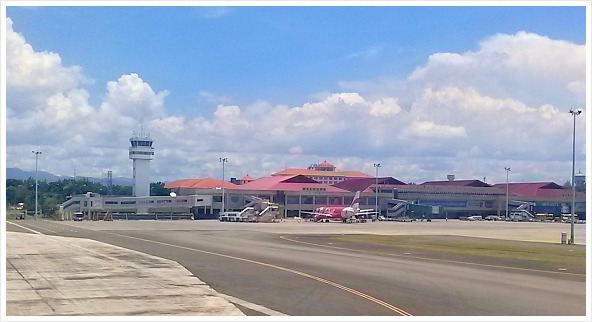 Please, see more details here about Mactan Cebu International Airport. If you wish, you can take a plane for Manila then transfer for Cebu. You have more choices of international flights entering Manila (Ninoy Aquino International Airport) than for Cebu on a daily basis. However, the advantage of taking a direct flight for Cebu (Cebu-Mactan International Airport is that it’s not as crowded as Manila. There are ships that traverse the sea waters of the Philippine Peninsula. Local and international ships (especially cargo) utilize the safer ports of Cebu City. Major national shipping lines operate regularly, vice versa, in most inhabited islands in the country. The Philippines, or Cebu for that matter, is not usually visited by cruise ships or any international passenger ships for some reasons. Inter-island ferries and smaller boats are the most popular and solely the mode of transportation among residents on secluded and isolated islands. Regular trips for major islands in Cebu can usually be accessed via Mactan Island Port, Cebu Port, or Danao Port (for northern islands). However, there are other smaller ports available in the southern parts of the province with smaller ferries and fast boasts that even offer services for the neighboring provinces, including Bohol, Negros or Dumaguete. It is quite convenient to move around Cebu Province because it has all sorts of vehicles and transports available, and they are quite cheap to use. If you are not familiar or just learning something about Cebu (or the Philippines) in general, let me introduce to you our modes of transportation, which are actually very interesting and various. We have the Jeepneys, buses, taxis, v-hires, tricyles, trisikad, and habal-habals. Jeepney is the most convenient and omnipresent transport available in the urban and some suburban areas in the province. The fare is cheap and it's the best way to experience local culture. Jeepneys usually cover short distance destinations, such as within the city or neighboring cities and towns. Buses cover long distance services, as in transporting passengers from one city to another, other towns and remote places. Trains or subways are not available in Cebu. North Bus Terminal and South Bus Terminal are specific terminals where you can find buses (air-con and non-aircon buses) that serve those two general routes respectively. The major bus companies include: Ceres Bus Liner, CBL Liner, ABC Liners & Rough Riders. Taxis are the quickest way to move around the city or the fastest way to get outside the city to rural areas. Taxis can be hired for long distance travels, like hiring from the airport to places outside the cities. Better take taxis with counters (meter machine) for a more accurate fare. V-Hire (or Van-for-hire) are available and could be faster than stationary buses since they only stop at some areas or destinations. However, this transport costs a bit more (30%) than buses that covers long distance destinations. V-hires usually take the routes that buses normally do not cover and the depart anytime when full. They are available in various smaller terminals, such as within shopping malls’ grounds, for example: SM Mall or White Gold Terminal. Trisikads are just bicycles (not motorbikes) with customized sidecars to accommodate passengers. This is being used to bring you from one street corner to another, but only available in less congested areas. Tricylces are motorbikes with sidecars and move faster than trisikads do. Habal-habal (or motorbike for hire) is recently gaining much popularity in the cities, especially in subdivision areas (private housing) and places difficult for cars to get through. since it can transport a passenger literally in all terrains, it is also very popular and almost the sole vehicle that transport passengers in remote places, mountainous and rugged areas. 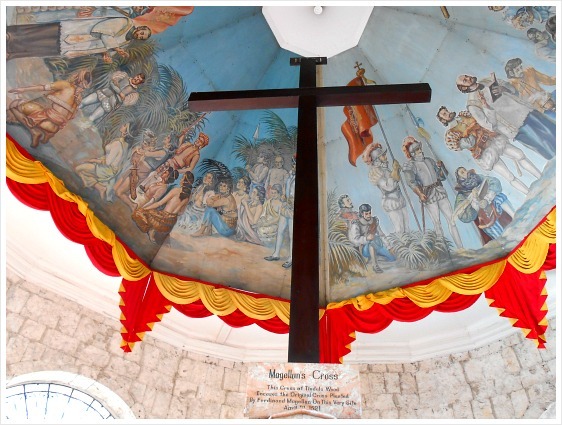 Cebu City is the oldest city in the Philippines and it offers many places with interesting historical relics and stories. During the Spanish occupation of the province, many structures have been built and some of them are still intact and mostly have been restored and preserved as national treasures. 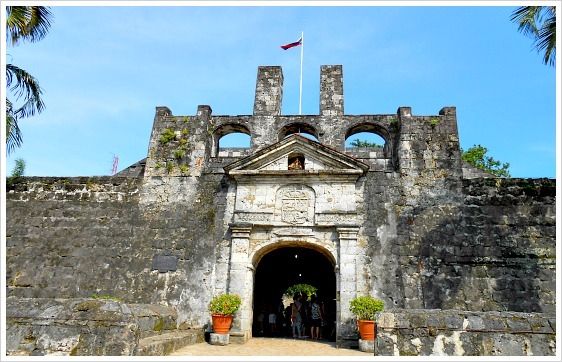 Examples of such places are Fort San Pedro (stone fortress built to house Spanish soldiers and Filipinos), century-old churches (Basilica de Santo Nino), old schools (such as University of San Carlos), watchtowers, old residential houses, among others. If you want to see collections of artifacts about Cebu or anything with historical and archaeological value, you can visit various Cebu museums within Cebu City. Most of these museums are established by schools or universities and private groups. San Carlos University and Aznar Museums are two popular universities with museums containing archaeological finds about the old Cebu. Cebu City is close to the mountains that they offer natural environment with streams, falls, caves and trails waiting to be explored. From the mountains or hillsides, you can observe the skyline of the city especially at the place called The Tops. The mountains of Cebu Province are fantastic for beginner or middle level hikers since these mountains are not very high. Dalaguete Osmena Peak, which is about 1,000 meters above sea level, is the only highest point in the whole province. 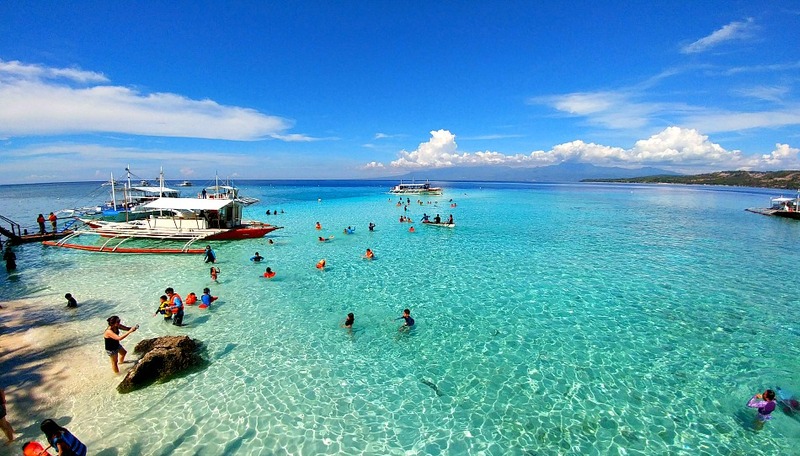 Beaches in Cebu are the most popular places to visit and hang out in the province. Many locals make a living from their resorts, stalls, accommodations and anything good they could establish to earn from the visitors. The beaches in Mactan Island are the recommended places if you want to stay within Mactan or Cebu City. The resorts in Mactan could be pricey but if you want to get out of the city, you could find numerous sorts of beaches with lots of rate choices. Click to scan Cebu beaches. Cebu City (and Lapu-Lapu City) has many stores for various materials and equipment, including: clothings, shoes, local jewelries, furniture products or anything affordable but precious. Cebu Ayala Mall and Shoe Mart of SM are the biggest and most popular places to hang out or shop. Cebu has many restaurants available. The capital and Mactan Island have popular local and nice international restaurants that serve various delicious dishes. Ranges of food prices depend totally on your choice of food, place and ambiance. You can certainly enjoy local and cheaper Filipino dishes at small restaurants where locals or students at universities would normally avail. If you love playing gold then you would love Cebu because it has golf clubs that offer cheaper fees to non-members. This club is located in Mactan Island. The club provides various services and resources for your yachting activities. Click the link of their official site here. There are over 50 hotels available in Mactan and Cebu City areas. You can choose from budget accommodation to luxury hotels. You can easily book online for those hotels with names, such as Marco Polo, Shangrilas, or Movenpick for example. Cebu City and Mactan Island have 5-star hotels, luxurious hotels, hotels with spas, lodging houses, B&Bs, etc. Please, search this Cebu travel guides page for more linked pages with some details. 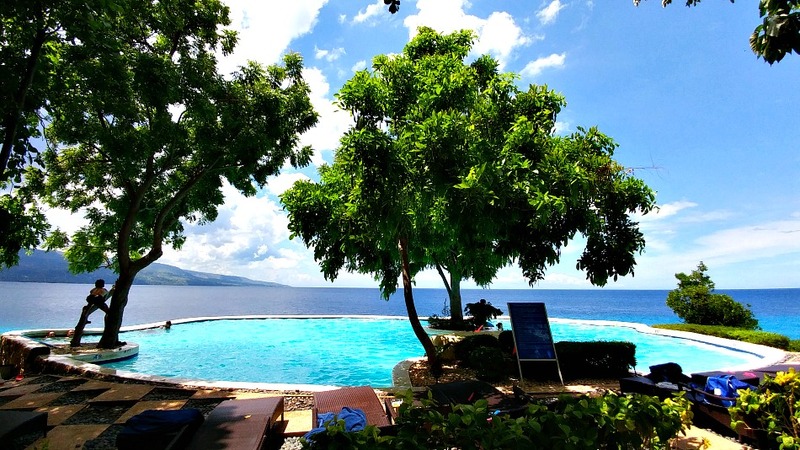 To find hotels located in Cebu City or Lapu Lapu City (Mactan Island) just Click Here For Cebu Hotels or for Mactan Island Hotels. Both places have their own advantages and disadvantages, which actually depends a lot on your purpose of visit. For example, if you prefer the beaches then you should stay at hotels on Mactan Island. However, if you want to shop, visit governmental and business offices, visit schools, or over around historical structures you should stay in Cebu City’s hotel. Mactan Island is where you can find a lot of business (including international groups) and commercial offices. However, if you are applying for something or need to visit offices you have to stay in Cebu City where most business, bank, or government offices are located. You can easily access Cebu business listings or directory at this site. You can find most of country consulates in Cebu City, which can provide you any minor consulate needs. However, most embassies are established in the nation's capital (Manila), where you will be directed to visit if you really need important papers and other serious diplomatic necessities. Moalboal Beaches, Tingko Beach, Mactan Island Beaches, Bantayan Island, Malapascua Island and those located in the northern and southern sides of the province offer the best beaches and resorts on the island. The one's located right on Mactan Island could be costly but the provide excellent facilities and services. 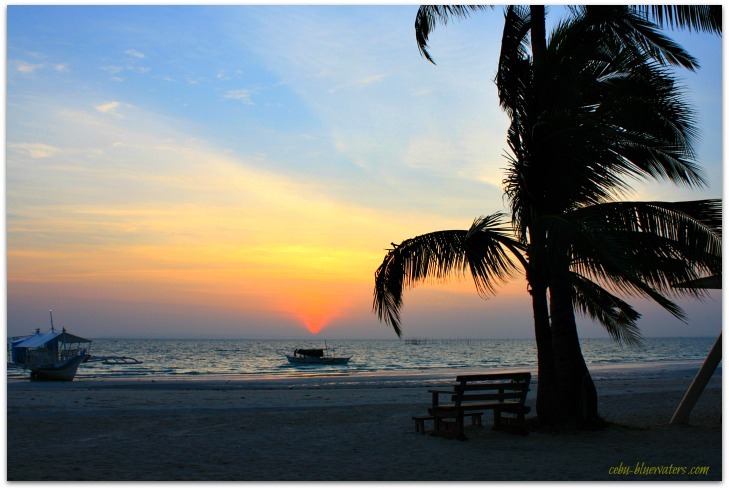 Whereas if you decide to go out of the urban areas, you can find more budget but excellent resorts and beaches as well. There are popular islands with great accommodations and facilities where many locals and foreign guests alike would prefer or pilgrim. Some of the most well-known and established ones include: Bantayan Island, Malapascua Island, Bohol Island, Sumilon Island, Camotes Islands, among others. There is an array of resorts available anywhere in the province. You could start looking at them on Mactan Island. Among the most famous ones include Shangrilas Hotel Resort, Crimson Beach Resort, Imperial Palace Waterpark, Movenpic Hotel Resort Spa, Plantation Bay Resort & Spa and more at White Mactan Island Beach Resorts page for more beach resorts. Thanks a lot for visiting TravelingCebu.Com. We wish we could be more of help for your visit and travel needs in Cebu Province. Remember that this Cebu Travel guides page only provides rough descriptions of establishments, facilities or sites. You may have to scan pages by clicking links related to your search for greater details. Have a wonderful tropical vacation!